Product #17341 | SKU PDWU2 | 0.0 (no ratings yet) Thanks for your rating! The PDW-U2 features a dual-channel head system that puts two optics on one head to achieve much faster read and write speeds compared to previous-generation technology: reading is 2.6x faster, and write speed is 1.5x higher. 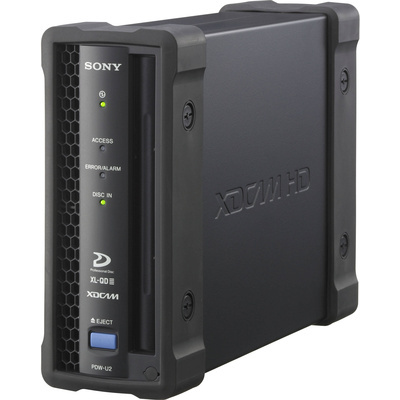 For its speed, media compatibility, compact size, and convenient connection interface, the drive is well-suited for any edit suite or logging/transfer station.